If you’re like most people, then “beautiful” probably isn’t the word that comes to mind when you imagine concrete floors. We completely understand the skepticism, as nobody wants the concrete from their sidewalks or driveway inside of their home. However, polished concrete floors are one of the most beautiful and cost-effective flooring options you can use in your home. Los Angeles residents are choosing to furnish their lofts and beach homes with this versatile material, and it probably won’t be long until your friends, family, and neighbors begin to replace their old outdated tile floors with beautiful stained concrete. In today’s post, we’ll provide you with an introductory guide to caring for concrete in your home. If you already have concrete adorning your home, then get in touch with Concrete & Marble Transformerz to learn more about our concrete services! As we’ve mentioned in our blogs about marble and granite care, your first line of protection against virtually anything that could harm your concrete floors is a layer of sealant, and possibly wax. We won’t get too deep into the weeds, but a concrete sealant’s main job is to protect the decorative elements of your concrete from scuffs and stains. Many people choose to invest in concrete sealants because they create a polished effect and increase the saturation of the underlying design. Many people take the extra step of investing in concrete floor wax, which serves to protect the sealant from wear and tear. Floor wax is quite cheap and can be reapplied as often as you need, so it’s never a big deal if you ever scratch or scuff the surface! 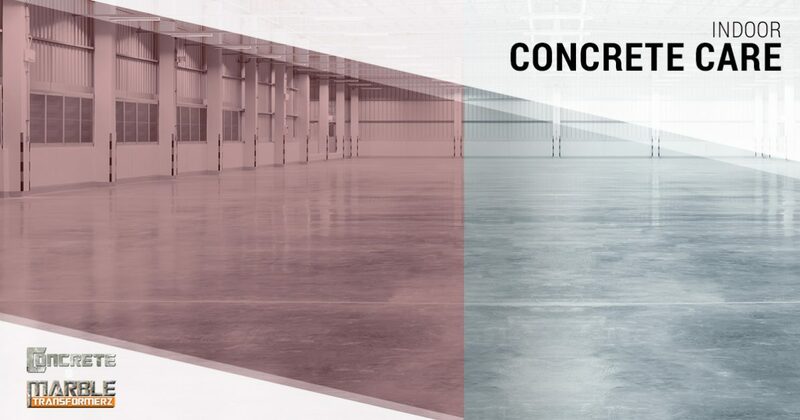 One of the main reasons homeowners choose to invest in indoor concrete is that it’s incredibly easy to clean. Unlike carpet, concrete won’t collect and trap dirt, pet hair, and other debris, but this means that any messes or dust bunnies will be immediately visible to anyone who enters your home. While this isn’t likely to damage your floors, it can be unsightly and embarrassing. One of the easiest ways to clean your concrete floors is to invest in a large broom that can be used to clean the floors regularly. Mopping your floors with warm water requires a bit more maintenance, but it can be a good way to ensure that you’ve completely cleaned the surface. If you’ve already invested in concrete services such as wax and sealant, then you’ll want to invest in rugs, mats, or runners for areas with high amounts of foot traffic. 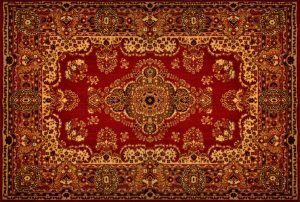 While your living and family rooms probably don’t need rugs (unless they play a decorative role), your entryway, kitchen, and dining room may benefit from a few well-placed rugs. Just make sure that you’ve thoroughly cleaned the floors before laying down the rugs, as you don’t want gravel and small particles to become trapped beneath the rug and scratch your newly waxed concrete. Keep an eye on our blog for future posts in which we’ll continue to provide you with information about caring for concrete floors. Get in touch with Concrete & Marble Transformerz for Top Rated Local® concrete services!